For the ultimate look of originality within your home and yard, consider professional concrete stamping as a cost-effective way to create a timeless look of class and beauty to your project. 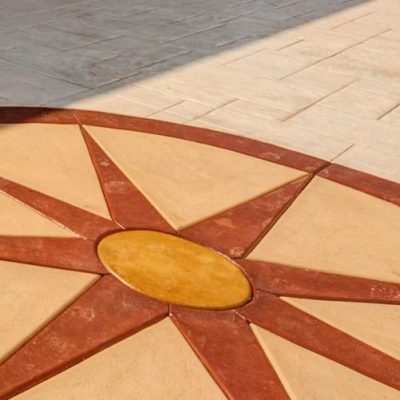 Whether resurfacing current concrete or installing a new patio or walkway, a customized concrete stamp can provide a look of elegance that can’t be beaten. When you’re considering concrete stamping around Waco and Temple, TX, call our professionals at 254-716-8685 to discuss the best choices for your home. There are multiple benefits to choosing concrete stamping over other paving options such as pavers or hand-placed stone including cost, durability, and longevity. As a top choice for homeowners, this method can provide your home with a low-maintenance, aesthetically pleasing paving option that lasts for decades and can be applied anywhere from walkways to patios. For an attractive decorative choice for concrete that won't break the break, look no further than stamped concrete. With none of the intense handwork associated with pavers, minimal labor costs bring down the expense of concrete stamping. With few maintenance needs and the inborn durability of concrete, your stamp presents a worthwhile investment. The cost of replacement will never arise, since concrete stamps will last practically forever. Concrete stamping for your Waco and Temple, TX property can provide a completely personalized, unique look for your space by providing color, pattern, and texture options for any style and appearance. Your concrete can be made to resemble stonework, tile, or a completely different pattern that is all your own. There are also countless color choices and combinations that can add a touch of flair or style to your design and overall look. One of the best benefits of stamped concrete is its durability. These systems can last as long as you own your home, and can withstand weather, extreme temperatures, and even UV rays. Their durability makes them a very low maintenance option with very little repair or renovation work needed. When you are looking for an individual, unique look for your space, consider concrete stamping as an affordable, long-lasting option that looks great for years to come. Our professionals can evaluate your space and offer material and design options to help you create the look and feel you’ve always wanted. We will explain product benefits and lifespans as well as installation and maintenance to ensure you get the exact product you’re looking for. When you’re ready to create a brand-new look for your home, call our experts at 254-716-8685 for more information about concrete stamping in Waco and Temple, TX. Updated on March 22, 2019 at 3:15 pm by eSquared Asphalt Maintenance.